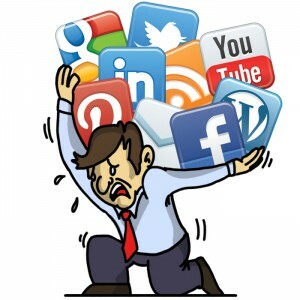 For some of us, and quite possibly all of us writers, social media is a feared concept. An it-must-not-be-named that we promise we will work on, but never really do. It’s the monster you know is living under your bed but are too afraid to face. You hope that as long as you feed it every so often and never directly look at it, it won’t gobble you up in the middle of the night. Well, believe it or not, you don’t have to be gobbled up to be successful with social media. Nor do you have to spend every waking moment linked to it. If you have an understanding of your brand and audience you can be successful and even enjoy meeting the monster too. 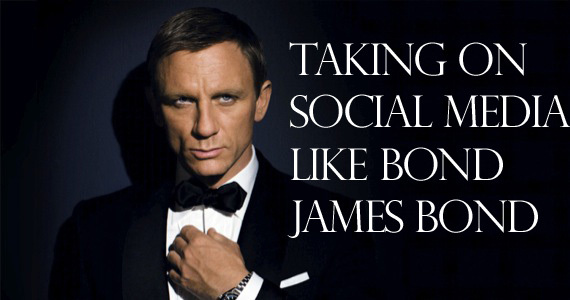 Not only that, you can be like the Bond of social media—yes, that Bond, James Bond. Why should an audience invest in my novel? What is my novel specifically offering them? Ex: Knowledge, romance, entertainment, thrill, a mixture? What rating should my audience expect? Ex: If there’s violence, is it mild, heavy, extremely graphic? G, PG, R? What’s the style and tone of my writing? Ex: Sarcastic, literary, first person, third? Even the formatting is part of your brand. Ex: In Jack Weyland’s novels the internal thought is always italicized. The goal is for your reader to hear your name or see your novel, and know what to expect. Your name and novel should evoke certain thoughts and feelings for the reader. Ex: The name, Stephen King suggests a novel that is strange, scary, mysterious etc. A Stephen King fan would be confused if they picked up King’s latest novel and it were about a ballerina torn between love and her career. The most important thing to remember is to be consistent. 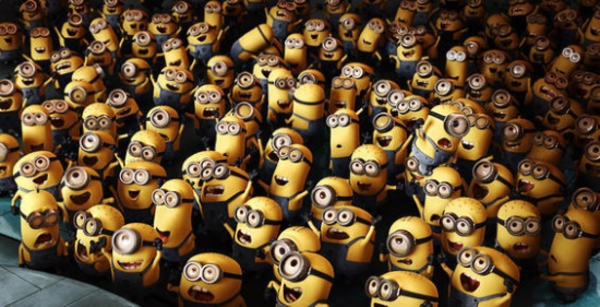 Now that you’ve got an understanding of your brand, it’s time to find the audience to match it. 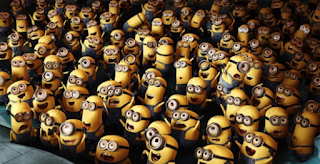 It’s a common misconception among writers that the bigger the audience, the better. True, a bigger audience could mean more sales, but not if the audience could care less about you or your book. Imagine a scuba diving instructor at a Steampunk convention. He’s trying to sell his how-to book on the proper use of scuba diving equipment. Yes, there’d be a lot of people there, but it’s unlikely the scuba man sells a single book. (Unless of course his scuba gear is based on the 19th century and is powered by steam—now that would be something!) Point is, you need to start with an audience you are 80-99% sure will be interested: your target audience. Find novels you feel are similar to yours and study their audience. Don’t waste time on the big fishes. For example, if your novel is a paranormal teen romance, don’t immediately look to Twilight fans. That audience is too broad, but you can bet it started with vampire fans and lovesick teens before it became what it is. Find novels that are emerging from the woodwork. Ones that are getting more and more reviews among a smaller, specific crowd. Read the reviews voted most helpful. Take note of what the readers liked and didn’t. Go to the authors’ social media accounts and study what the fans are saying. Understand them. They are your target audience and your potential fans. You are writing or have already written for this audience. Think of them as your investors. They are the readers more likely to take a chance on you and your novel. I know what you’re thinking. You’re thinking once you put yourself out there you’ll be surrounded with that awful sound that means no one cares: silence. Maybe it’s already happening. 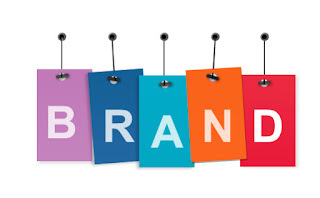 But now you know your brand! You understand your audience. And you can face anything. Think of yourself like James Bond just receiving your gadgets. Now here’s how to use them. Be interesting. If you haven't gone on any great adventures lately, that's fine. You don't actually have to be James Bond. Interesting things are things people don't normally see. Anything ranging from an image, quote, article, your own thoughts. Keep it fresh. Images are your friends. People are more likely to look at them than text. Instead of excerpts of your novel on their own, add that sentence or paragraph to an image. Like a meme, for example. If you aren’t familiar with any programs to put text on an image, an easy and completely free place to do this is at http://pixlr.com. Don’t waste too much time making it pretty though. As long as the image is somewhat interesting and eye-catching, it will do. Be original. You’ve studied your audience to try to understand them, not to completely transform yourself to be like the authors they already follow. A carbon copy is never interesting. You want to show your audience that you’re offering them something they’re likely to be interested in, while giving them something different: you! Be helpful. People love to learn new things, especially if the information will help them in their pursuits. Be relevant. An article on getting published won’t be as helpful if it’s ten years old. Take Notes. Check out which of your posts received the most response. Try posting more of the same and continue tweaking things accordingly. Remember your brand. Anything you post should reflect your brand. You can have a variety, but if your novel’s genre is horror and you’re constantly posting pictures of baby animals and Disney princesses, your audience will be confused and wander off. Socialize. There’s a reason it’s called social media yet so many of us only post things with a comment and a like here and there. It’s not enough. You don’t have to engage with everything, but if you find something helpful or interesting let the person know. When you help a fellow author out, they are more likely to do the same. You might even call it networking. And there you have it. 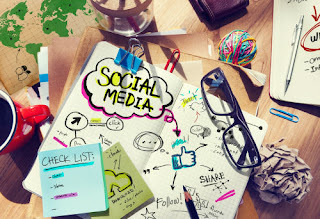 A quick guide to taking on social media. Just remember to be consistent and have fun with it. And when it feels overwhelming and you just want to lock the door and run, remember that you are James Bond. Okay, maybe not. But you are a writer, which means you deserve to have your work read and people deserve to read it.